This modified version mainly produce new outputs of SWAT in MOHID format. The aim of these developments is not to replace the use of SWAT graphical user interfaces for input or output, but to complement it. This also means that the developed outputs do not include all the SWAT variables but instead, they were developed on a need basis either for easier exploring, results analysis, model coupling, etc. This development benefits from many current developments and improvements of MOHID tools made by its users and will continue to benefit in the future. MOHID’s HDF class is a class on the top of the Hierarchical Data Format (HDF library). HDF is a general purpose library and file format for storing scientific data, developed and maintained by the United States National Center for Supercomputing Applications. The main functionality of this library is to store matrix data in a structured way. 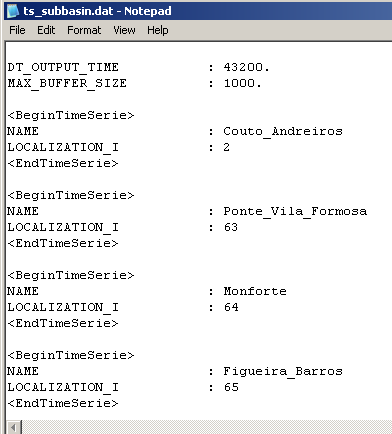 The inclusion of output result files in HDF5 format is currently under development. This allows the visualization of watershed properties (modeled by SWAT) in animated maps using MOHID animation tools like MOHID GIS (Figure 1). These tools allow the production of animated graphic files showing the spatial and time evolution of the modeled properties. 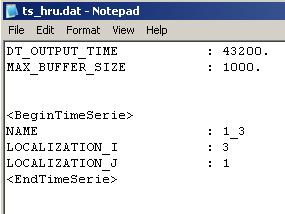 The user decides on the time step output. For each output a vector with the values of soil water content of each sub-basin is stored. Quality of the water (sediments, solutes) is frequently poor described in the models and highly variable in time. In order to respond to such demands a physical based model, the TempQsim STREAM model, was developed (Galvão et al., 2005). This model is currently maintained by MOHID group under the name MRN. MRN computes water, sediments and properties transport in a river network. The model is written in FORTRAN 95 and follows an object oriented programming philosophy with a finite volume approach. The different processes occurring in the river are programmed in different modules. This model has been calibrated for the Vène watershed (France) with a special focus on the transport of particulates for the first significant flood events (Obermann, 2007). Fluid flow in this model is governed by conservation equations for mass, momentum, energy and any additional constituents and the numerical algorithm is based on the finite volume approach. Following this strategy it is easier to build conservative transport models and coupling between modules is also simpler because it is based on fluxes. Object oriented programming was also used, which facilitates model coupling. 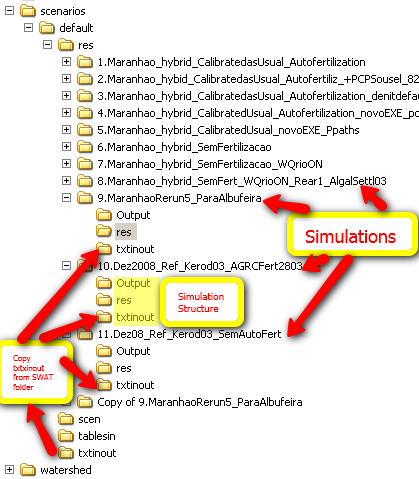 An interface between this model and SWAT was developed in order to simulate agriculture in the catchment using MRN for simulating the river network and the corresponding sediment transport and biochemistry (Chambel-Leitão et al., 2006). SWAT source code was slightly changed so time series of flow/properties are produced for each sub-basin. A “watsub” theme with the location of the outlets of each sub-basin (created by SWAT ESRI ® ArcView extension) is read by MOHID GIS and dynamically construct links between the time series locations of SWAT and discharge nodes of the MRN. MRN runs using surface runoff, lateral flow and groundwater flow from SWAT as input discharges. Property concentrations can be considered constant (user supplied) or can be an output of modified SWAT. In the default folder create a folder named RES. Edit this ascii file for the subbasins and HRU that you want to output. In most of the cases it would be needed an output file for each branch of the network, if you want to couple with Mohid River Network. If you just want to explore SWAT results, just oyt put in Subbasins and HRU you want to analyse. This page was last modified on 1 March 2019, at 11:37.